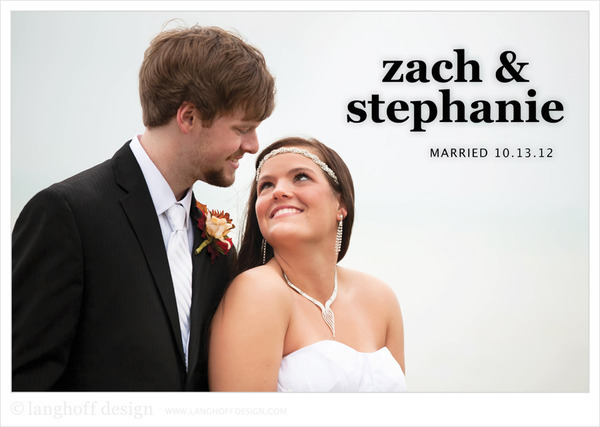 We are happy to declare, Zach and Stephanie got married! We have known these two for almost five years and we're so excited for them. 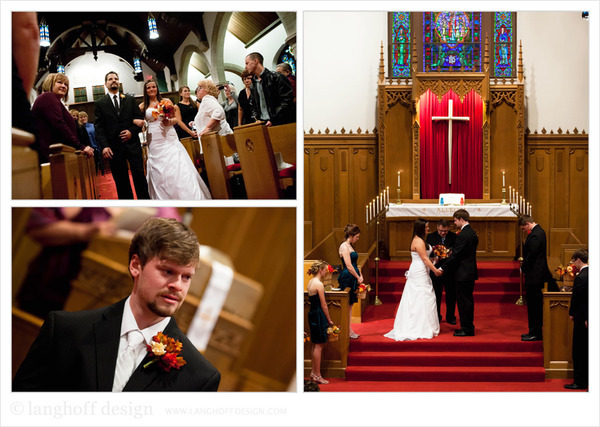 Their beautiful fall wedding day was filled with smiles, happy tears and sweet memories. Their childhood pastors married them at Evangelical United Methodist Church in Racine surrounded by their closest friends and family. Afterward, we headed to Milwaukee for a banquet reception (at the Clarion Hotel) and stopped for some photos of the wedding party in Grant Park. It was a bit chilly, but the rain held off long enough for us to capture some stunning, scenic shots... I was drooling over the way the rain made the bright colors shine for such a dreamy, fairytale backdrop—GORGEOUS. Along with her bridesmaids, Stephanie's mother and grandmother helped her get ready. Such sweet moments. 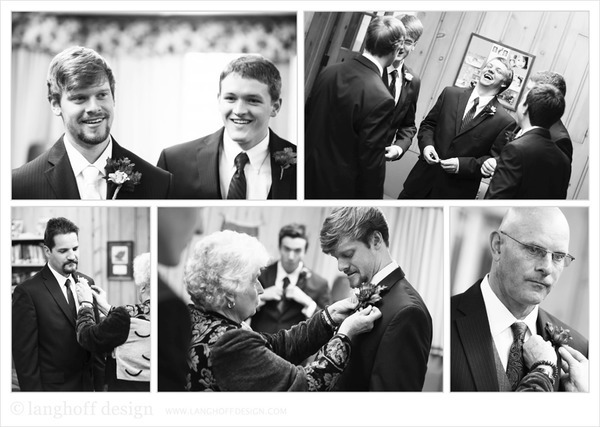 Meanwhile, Zach and the groomsmen were getting ready, too. There was so much laughter! 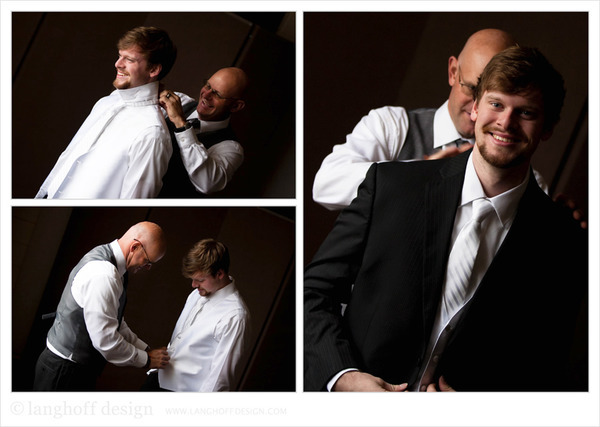 Zach's father shared some very special memories with Zach as he got him ready for the aisle. Before the ceremony, Zach & Stephanie got together for a time of prayer together. They remained out of each other's view, but they held hands and asked God to bless their marriage and their new life together. Sweetest moment ever....I may have wiped a tear or two of my own before I snuck away. It was en emotional procession as Stephanie was escorted down they aisle by her father. 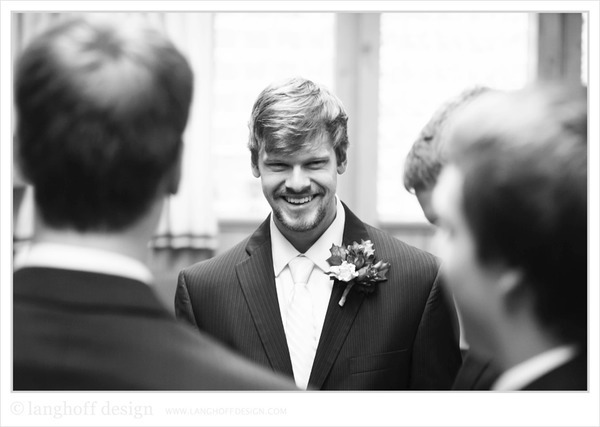 One of my favorite moments during the ceremony was when Pastor Creighton had them turn around and take a look at the congregation behind them. He reminded them that all of the people present had their backs. They, too, had a responsibility as "witnesses" at the ceremony to make sure that Zach and Stephanie were cared for. Zach and Stephanie made a quick stop at Grant Park in Milwaukee with their wedding party. It had been rainy and chilly most of the day, but the rain held off long enough for us to grab some stunning [dry] portraits. Perfect timing! 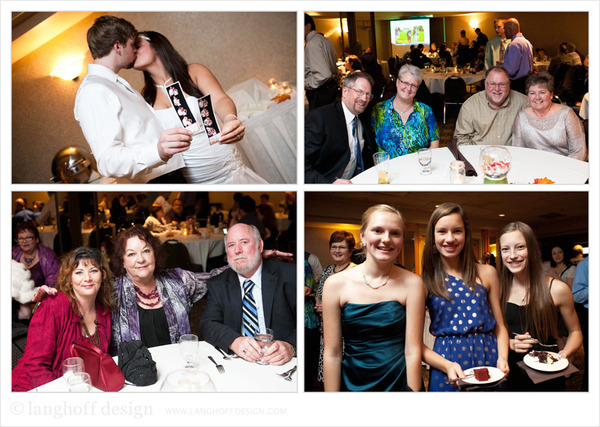 This wedding party was fantastic....clearly wonderful friends and siblings to Zach & Stephanie! Stephanie's mother made all of the flower arrangements and bouquets. Everything was lovely. Yep, I'm pretty sure I witnessed an enchanted fairytale come to life. So pretty! Introduced as "Mr. and Mrs." for the first time, they happily entered the banquet reception. Josh (the best man) and Heather (the maid of honor) gave really touching speaches that highlighted their friendship and excitement for the couple. The autumn-themed decór and this amazing birch tree cake were perfect. Bridal Cakes by Ann did a wonderful job. And you should have seen Zach's face when he found out Stephanie surprised him with Atlanta Braves cupcakes! Zach, Stephanie and SO many of their guests enjoyed the photobooth by Shutterbooth. "...And when it all starts coming undone, Baby you're the only one I run to. I run to you." Lady Antebellum's song played in the backgound of thier first dance as husband and wife. These special wedding reception traditions brought laughter and tears. I love the expression on the guys' faces as they reach for the tossed garter! And the dances with their parents were priceless. 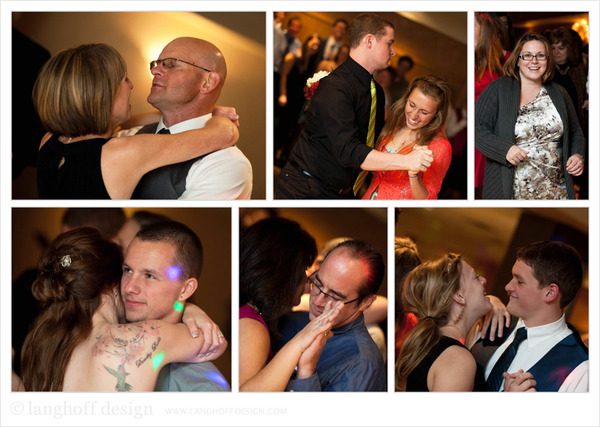 It was certainly a spirited dance floor. So much fun! Thanks to JJ's Roadhouse and Karaoke for making the dance floor action-packed. And check out these beautiful, custom rings made by Art Metals Studio in downtown Racine. Congratulations again, Zach and Stephanie! God has so many lifelong blessings in store for the two of you. We can't wait to hear how the rest of your love story unfolds!